If a person wants to exchange one cryptocurrency for another he uses an exchanger or a “crypto escrow” service of some sort. In any case, there is always a middleman to conduct this exchange. 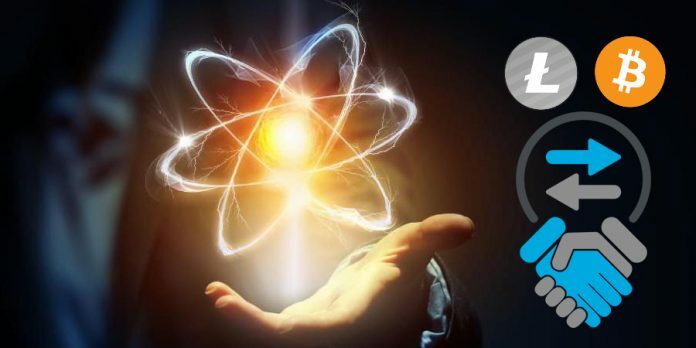 But here comes Atomic Swaps, also called atomic cross-chain trading, where anyone can exchange his coin for another coin without a middleman or a trusted third-party. This is a very new technology which might or probably will revolutionize the way traders execute the transaction or exchange on cryptocurrency for another. Atomic swaps users contracts called hash time-locked contracts (HTLCs), which makes the exchange absolutely trustless due to the fact that both parties required to meet the arrangement of the exchange or a trade. This technology is very new and should be watched closely, but it appears to have a very bright future and should change the way cryptocurrency owners exchange their coins.